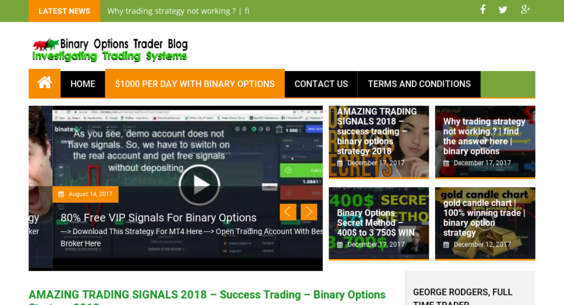 Trackrgadget.club — Website Sold on Flippa: Binary Options & Forex Blog. Making $150/m From CPA & Affiliate Commissions. Binary Options & Forex Blog. Making $150/m From CPA & Affiliate Commissions. Binary options broker reviews & video strategy guides. Consists of 500+ video binary options strategies, articles & reviews. Main traffic source - organic search. Main revenue - Affiliate Commissions.